The third Sturgeon (SSN-637) was laid down on 10 August 1963 by the General Dynamics Corp. Groton Conn.; launched on 26 February 1966; sponsored by Mrs. Everett M. Dirksen and commissioned on 3 March 1967 Lt. Comdr. Curtis B. Shellman Jr. in command. Sturgeon spent a month conducting refresher training and then began her shakedown cruise on 3 April down the east coast and to Puerto Rico. She returned to Groton for availability maintenance and training until 18 September when she departed on extended submarine operations. She returned to port two weeks later and was transferred to Development Group 2. On 22 January 1968 the ship began a five-week antisubmarine exercise to evaluate the relative effectiveness of Sturgeon and Permit-class submarines. Sturgeon began a three-month post-shakedown availability on 3 March. When the yard work was completed in June she participated in the search for Scorpion in the vicinity of the Azores. She spent July and August preparing for overseas deployment from September to early November. 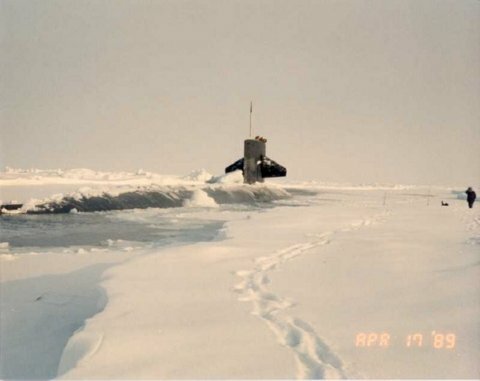 The submarine participated in tests and evaluation of a new sonar detection device from December 1968 to February 1969. She visited the Naval Academy in March and then held an intensive training period for her crew before deploying from May to July. In April the submarine was awarded a Meritorious Unit Commendation for outstanding service during a period in 1968. Sturgeon participated in fleet submarine exercises in August and September and in a project for the Chief of Naval Operations from 29 September to 31 October. The submarine was awarded a second Meritorious Unit Commendation in December for her service during a period in 1969. After training and preparation for another period at sea the ship deployed from 29 January to 8 April 1970. In May and June she aided in evaluating aircraft antisubmarine warfare tactics and equipment. The period 1 to 26 July was spent in a submarine exercise and from 15 August to 1 September in sound trials. On 5 October 1970 she began an overhaul at Groton Conn. which lasted until 5 October 1971. While in the yard in December 1970 Sturgeon was awarded the Navy Unit Commendation for exceptionally meritorious service during a period of that year. When Sturgeon completed her overhaul in October she was transferred to Submarine Squadron 10 based at New London. She held refresher training and completed a shakedown cruise from 6 October to 15 December. The period 16 December 1971 through 16 January 1972 was a leave and upkeep period. She then participated in two antisubmarine exercises before returning to Groton for restricted availability from 6 March to 27 May. The submarine conducted sea trials until 15 July at which time she began a test on sonar systems which lasted until mid-December 1972. Sturgeon spent the period from 1 January to 2 April 1973 conducting local operations in the Narragansett Bay Area. On 3 April she sailed to the Fleet Weapons Range in the Caribbean. On 21 May the submarine ran aground there and was forced to return to Groton on 4 June to repair the damage. She returned to sea for local operations from 17 July to 1 October 1973 when she entered the Naval Shipyard Portsmouth N.H. to effect bow repairs. She remained in the yard until 22 April 1974. After sea trials she returned to her home port for a 10-day upkeep period. The submarine operated from there until 13 August when she sailed to Norfolk to join other fleet units participating in Atlantic Readiness Exercise 1-75. She then returned to New London to hold local training exercises in preparation for an overseas movement. Sturgeon stood out to sea on 29 November en route to the Mediterranean and a scheduled six-month deployment with the 6th Fleet. She arrived there on 9 December 1974 and in February 1975 was still serving with that fleet.